I think it's fair for me to proclaim my favorite fantasy author is my husband, Jesse Teller. I've been a fan of his storytelling for many, many years and seeing his work released upon the world is always thrilling for me. 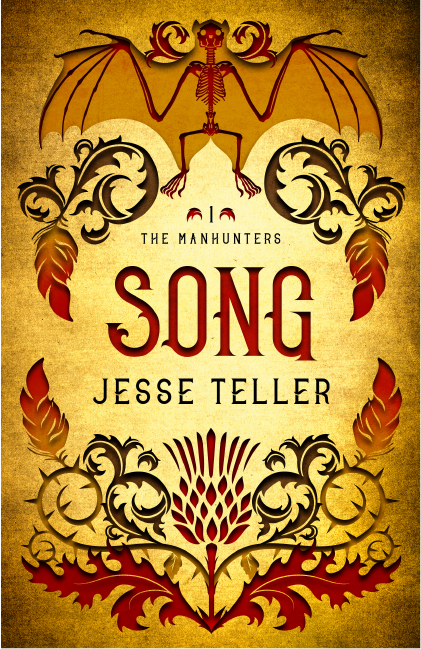 Song, his opening novel to The Manhunters trilogy, has been gaining more and more attention over these last few months, in part due to its stunning cover. 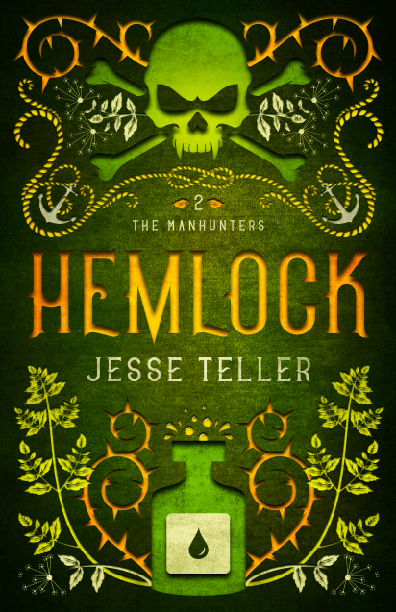 For Hemlock, the second book in The Manhunters, we wanted to make sure the cover would hold up well next to Song, and also carry its own unyielding energy. It's a darker book, more heartbreak, tougher odds, and with vampires as the main enemy, it's understandably bloodier. The busiest pirate bay in Perilisc is newly infested with vampires. These monsters will soon overrun the world, but the Manhunters must try to stop them in secret. Agents of the king are hunting Rayph's vigilante crew, and with one false step, they could all end up at a royal execution. "Teller’s world is stunning in its complexity." "Dark and gritty fantasy, epic in its fierce and raw telling." "Jesse Teller has created a convincing world and populated it with characters that are endearing and relatable." You can find Hemlock here on Amazon or here on Goodreads.